It’s my pleasure to introduce Debbie Yoerg from Crowns for Christ Ministries! She is a personal trainer, radio host and inspires women to walk in their God-given destiny! You can follow her ministry here on her Crowns for Christ Facebook page! Now to take a look at Psalms 13-14. I am sharing my thoughts with you today on Psalm 13 and 14. As I read Psalm 13, I can relate to David. ❤ V. 1-2- I can feel David’s anxiety… His prayer for relief from despair. I’ve been there! The phrase “How long” appears four times in the first two verses indicating to me, the depth of his distress and wondering where God was. David was impatient and he felt forgotten. I have felt this same way… crying out to the Lord and praying for Him to reveal Himself to me in the midst of my circumstances wondering “where are You, God,” and to please “do something.” Lord, calm our anxious hearts in these situations and bring us Your peace that surpasses all understanding! ❤ V. 3-4 – David’s cry out to the Lord was heartfelt. Asking the Lord to answer him, enlighten his eyes to see, and to deliver him from his enemies. 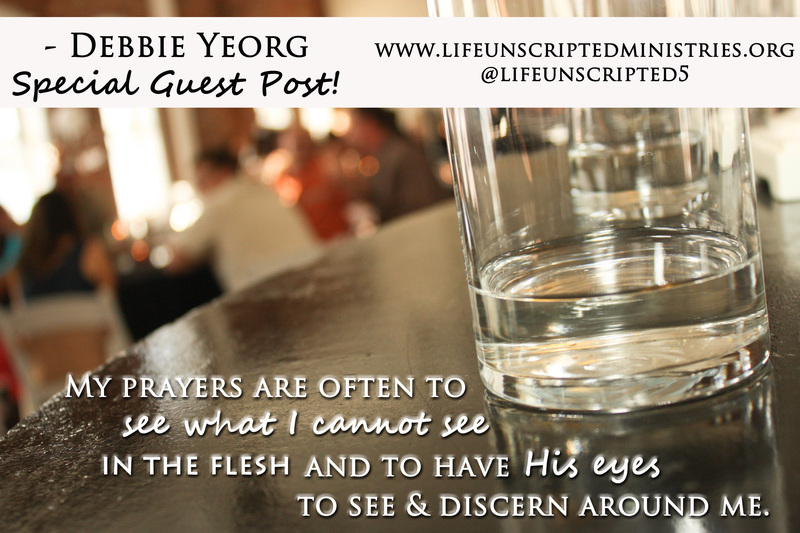 My prayers are often to see what I cannot see in the flesh and to have His eyes to see and discern around me! ❤ V. 5-6 David’s cry turns to praising and his faith begins to grow. Verse 5 starts off with BUT implying that he has a choice and chooses to trust in God’s unfailing love for him no matter how long he has to wait for God’s justice. David rejoices in his salvation and worships the Lord in song and praise. When we are impatient, weak, overwhelmed, and anxious, let us be reminded of David’s steadfastness and his faith in God’s love for him. We must trust the Lord even in our waiting and stand on His promises and declare His everlasting love for us! ❤ V. 1- To deny God and refuse to live by God’s Truth is foolish and leads only to death. ❤ V. 3- We ALL fall short and must look to Jesus as our Savior, repenting our sins and receiving His forgiveness. ❤ V. 5-7- God is present in the company of the righteous- our enemies who attack us are actually rejecting Jesus. This reminds me that it is the Holy Spirit within me that my enemies are coming against. In these times that we may feel defeated let us choose to stand on God’s Word and promise that He is our refuge and our victory in overcoming comes ONLY from Him! We Praise You, God!!! Lord, thank you for salvation, thank you for your unfailing love, grace, mercy, and forgiveness. Calm our anxious hearts, Lord when we are overwhelmed by situations that surround us. Help us to trust that You hear our cries and rejoice in Your presence, stand on Your Word, and declare Your love and promises over our lives. Thank you that we are not in the dark… that You have saved us! We pray for those who are lost and deny Who You are. We call these people out to You by name and those unknown and pray for their souls. We lift up our enemies to You, repent our hearts of any unforgivness, bitterness, or resentment and release them to You to work upon their hearts. Thank you, Lord, for You are GOD and You reign. We praise You, Jesus, we magnify You, and we lift Your Name up high… JESUS! In Your precious Name I pray…Amen!! Thank you so much for your insight on these chapters, Debbie! David is so easy to relate to. How many times have we found ourselves crying out to God, “Where are you, God? How much longer will I have to face this?” He has not forgotten us or turned a blind eye to our struggles. 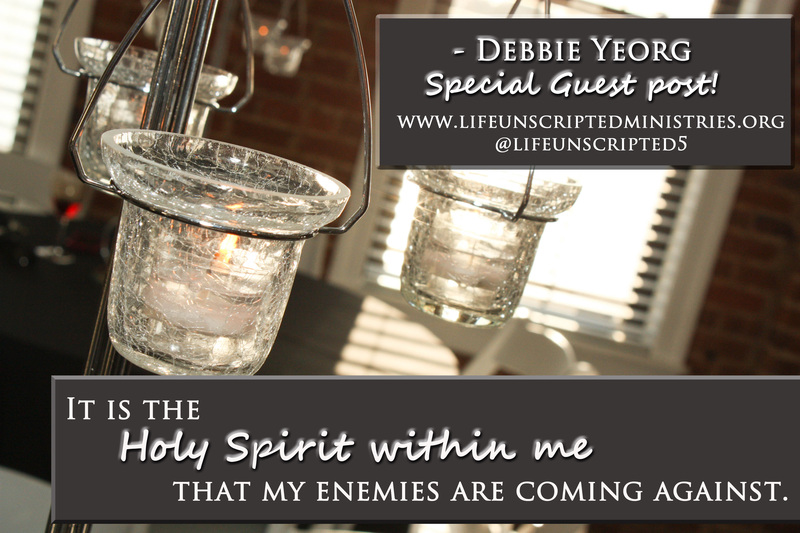 As Debbie stated, it is usually the Holy Spirit within us that people are coming up against. John 3:19 says, “And this is the judgment: the light has come into the world, and people loved the darkness rather than the light because their works were evil.” The light always displaces darkness. It also illuminates things that were once hidden. People generally aren’t fond of shining light on their imperfections. I know I’m not! But, it shows me what I need to work on. Many times people are offended by the gospel because in order to receive Jesus, they have to accept the realization their current condition. Not everyone sees their desperate need for a Savior and are defensive towards the message of Jesus Christ. It has nothing to do with you and everything to do with the natural rebellion we are born into. We are born into a sinful world, yet our redemption comes only through us personally accepting Jesus as our personal Savior. Find some hope today? Can you relate to David? Share your thoughts below and be sure to visit my Facebook page here to connect with others joining our bible study! Posted on January 7, 2015, in Bible Studies and tagged bible, bible study, connect, discuss, Psalms, talk it out. Bookmark the permalink. Leave a comment.